The Focus 1.6 EcoBoost shares exactly the same engine as the ST180 Fiesta. 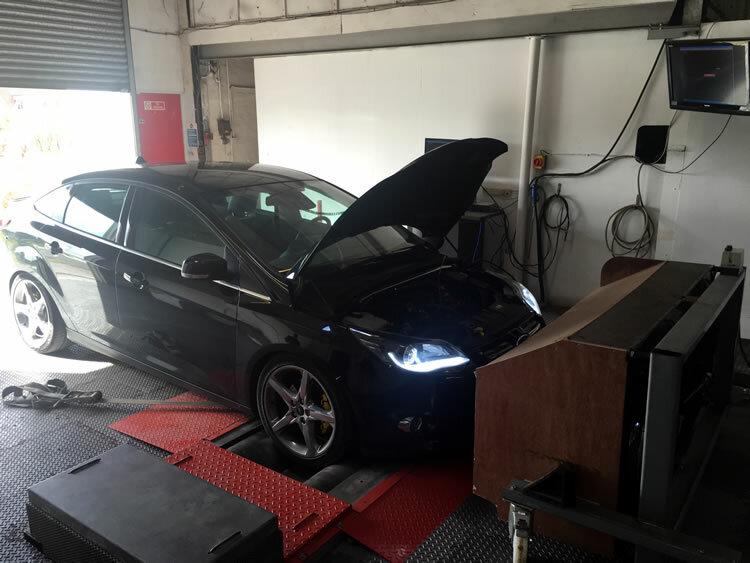 Pumaspeed have unparaleled experience on the 1.6 ecoboost engine in the Fiesta, regularly giving power outputs of over 300 bhp. 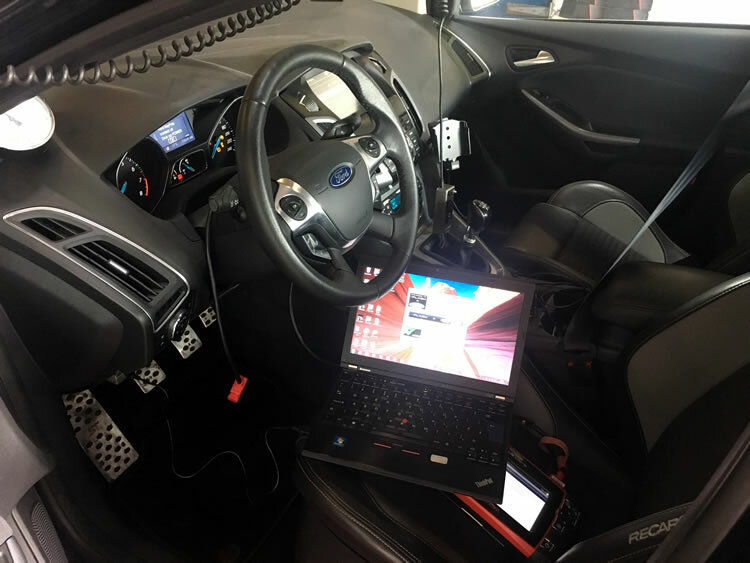 At a request of a customer from the Netherlands we were asked to produce a power kit to enable the running of 270-280 bhp in his Focus 1.6 EcoBoost. 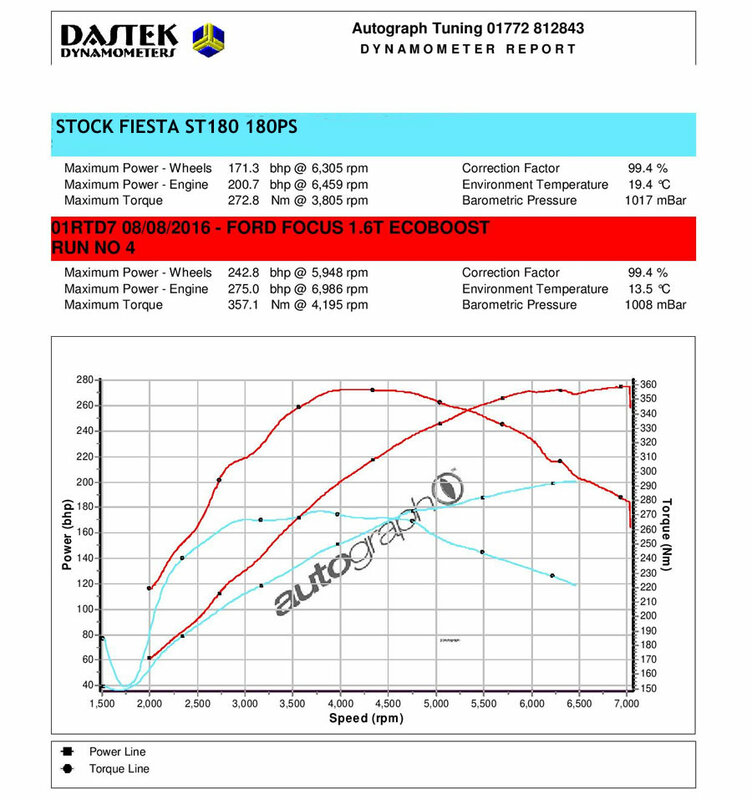 Here is a power graph of a stock ST180 vs the Stage 3 power upgrade in the 1.6 EcoBoost Focus. For any info on large power output Focus 1.6 products please email or call Pumaspeed directly.